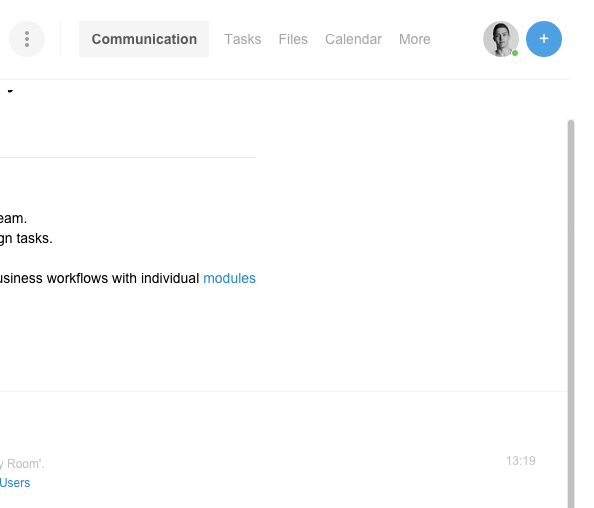 In order to add an user to a data space, he must be added to the organization firstly. 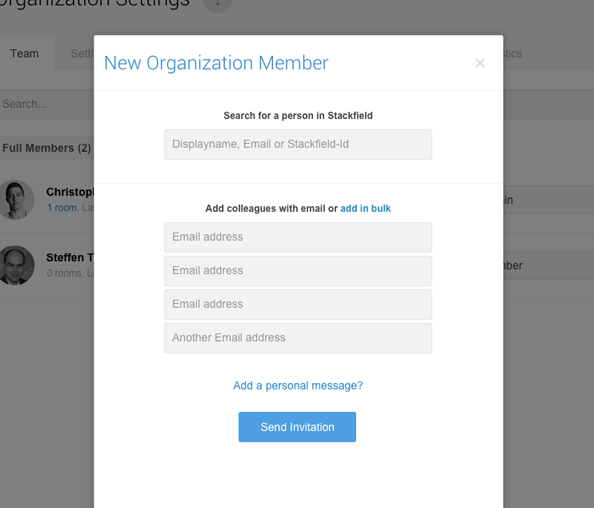 A new user can be added to an organization through the settings of the organization. 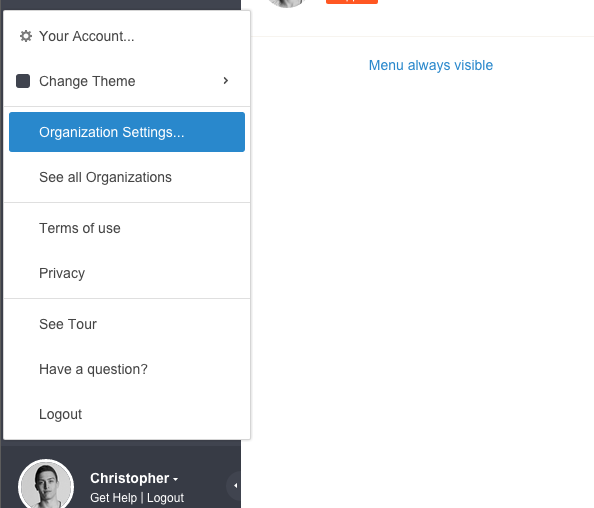 Open the organization settings by selecting "Organiziaton Settings...". 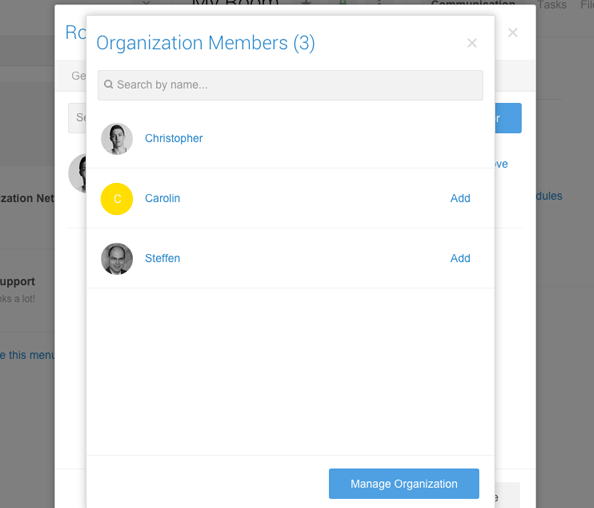 Any user of an organization can be added to a data room by an authorized member. Add a new user by clicking on the plus icon. There are different ways to add a user to a data room. Within a data room, you can click on the plus icon in the upper right corner in order to add a new user. A click on the settings icon reveals more options. 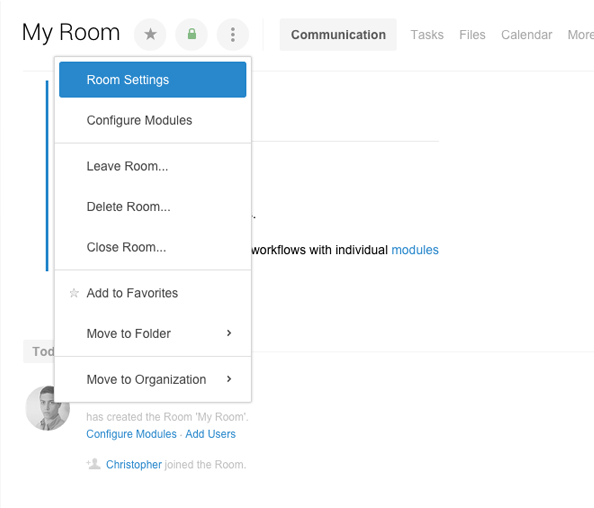 Alternatively, you can open the room settings in order to manage the members of the data room. Simply click on the settings icon besides the room name and select "Room Settings". Afterwards switch to the tab "Members" and you will be displayed the same menu as if you would have clicked on the plus icon in the upper right corner. It's possible to filter the member list by entering a name into the search bar above the list. 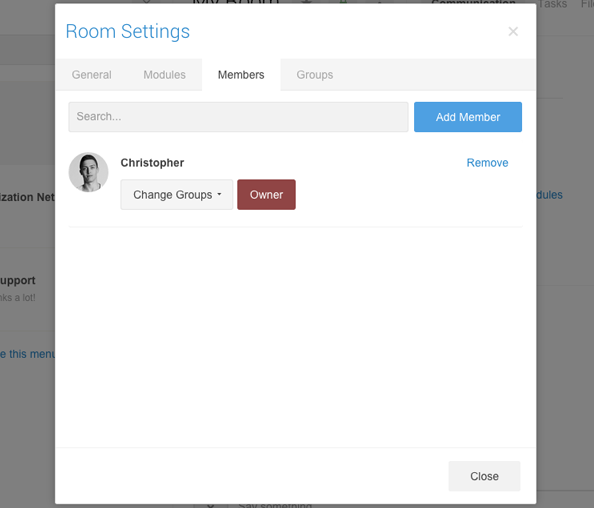 Use this feature if you need to search for an user in a room with a large number of members. Click on the "Add Member" button in order to add a new member. 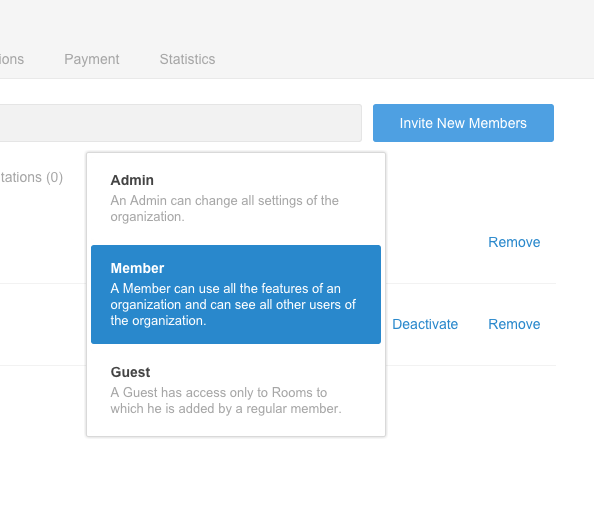 Only members and guests of the organization can be added to a room. The list contains all members and guests of the organization. These can be added by clicking on "Add" besides of the name.